Calories for a cause don’t count, right? 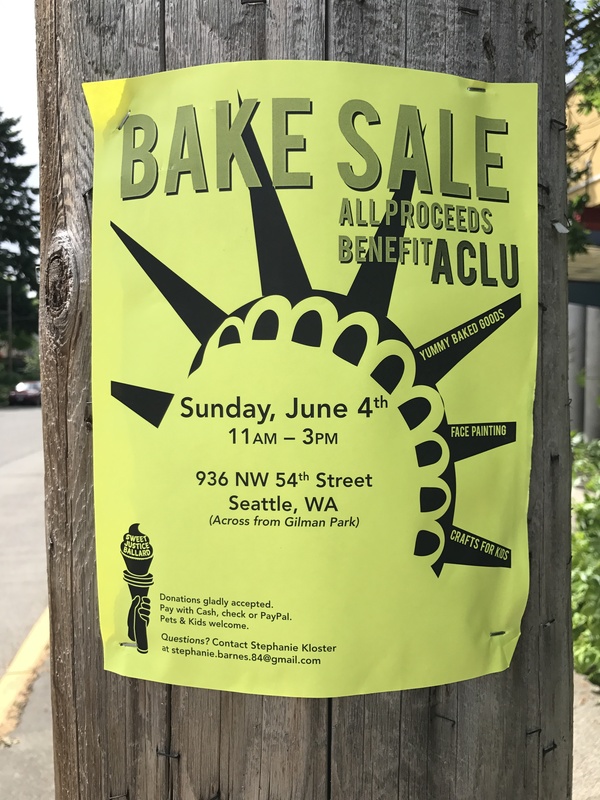 ‘Sweet Justice Ballard’ is hosting a bake sale to benefit the ACLU of Washington on Sunday, June 4th, and you are invited to participate! Not a baker? No problem! Come buy a sweet treat and help support the important work of the ACLU. All proceeds from the sale will benefit the ACLU. Sale runs from 11:00 AM – 3:00 PM on Sunday, June 4, 2017 at 936 NW 54th Street in Ballard’s West Woodland neighborhood. Sweet Justice is a group dedicated to grassroots networking and fundraising for social justice platforms. The group is based in the Ballard neighborhoods of Seattle, Washington. Our goal is to raise funds for social justice groups through bake sales and other community events, and to assist and empower individuals in creating fundraisers to support organizations they are passionate about.